Just when you think the Last-Days genre has been pretty much exhausted, John Robinson slips one in under the radar that knocks your socks off. Clearing the high bar he set in his previous novels, he infuses brutal force into his prose and remains steadfastly unapologetic in his message--both of which are essential to pull off a story like Heading Home. 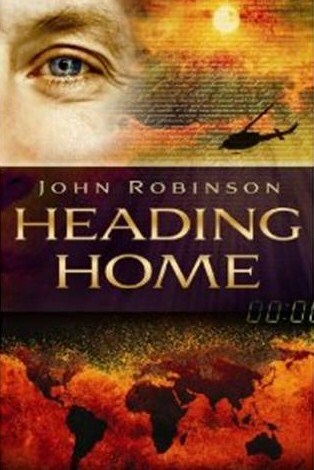 Mr. Robinson does a great job of working on two planes of spirituality simultaneously in this story of healing and redemption. You've likely already identified the higher plane from the first sentence of this review: the redemption of mankind and the healing of a created order groaning and suffering as it eagerly awaits revelation of the sons of God. (Rom. 8:19-23). The second plane is at the personal level, and it's where Mr. Robinson excels at the storytelling. While God is attending to the cosmos, Nick Castle and CT Barnes are hard at work on the ground. Christ's return is imminent, and there's no time to lose as these closest of friends seek out former comrades-in-arms from their days in Viet Nam. Nick and CT consider it paramount to witness to the men with whom they shared the most intense days of their lives before it's too late. That's what you do for your buddies. It's what you do for God. But there's a new battle looming, one with potentially devastating consequences. While Nick and CT search for their old friends, a satanic cult has targeted their home church for destruction, including their families, their dearest friends and themselves. No one is aware of the plot until the cult launches its attack at the crux point of the story. You. Will. Not. Want. To. Miss. The. Final. Showdown. Oh no, you will not. In short, Heading Home achieves in one concise, high-powered novel what it took Left Behind to do in--how many volumes did the series finally turn out to be? All due respect and credit to Messrs. Jenkins and LaHaye, but, honestly, I gave up somewhere around number three or four. Sorry if that offends any die-hard LB fans; chalk it off to my limited attention span. In any event, if you ran the marathon with Left Behind, you'll enjoy the sprint with Heading Home. And it will leave you breathless.